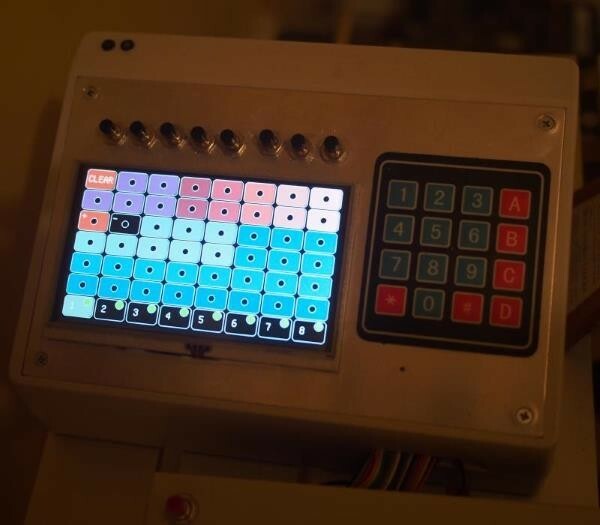 Modified Roland TR-626 Drum Machine adds #Arduino, Keypad & Touchscreen #circuitbending « Adafruit Industries – Makers, hackers, artists, designers and engineers! In the interest of keeping wire mess to a minimum, Hackaday.io user Alpha Charlie took a novel approach to circuit bending a Roland TR-626. The patch-a-tron is a 48×8 analog switch array for use as a solid state cable-less patch bay for circuit-benders and synthesizer. It’s controlled by touchscreen and MIDI and is currently connected to my Roland TR-626 Rythm Composer from 1988. 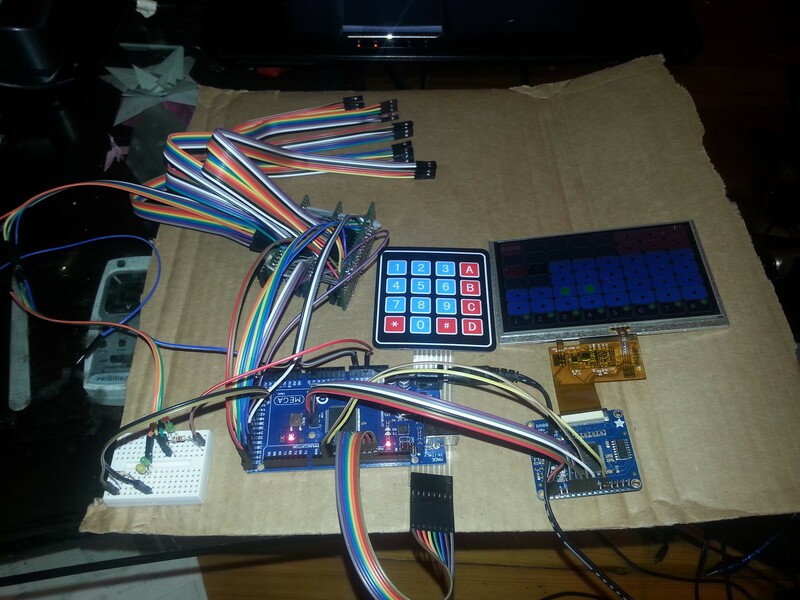 View the full project here on Hackaday.io. 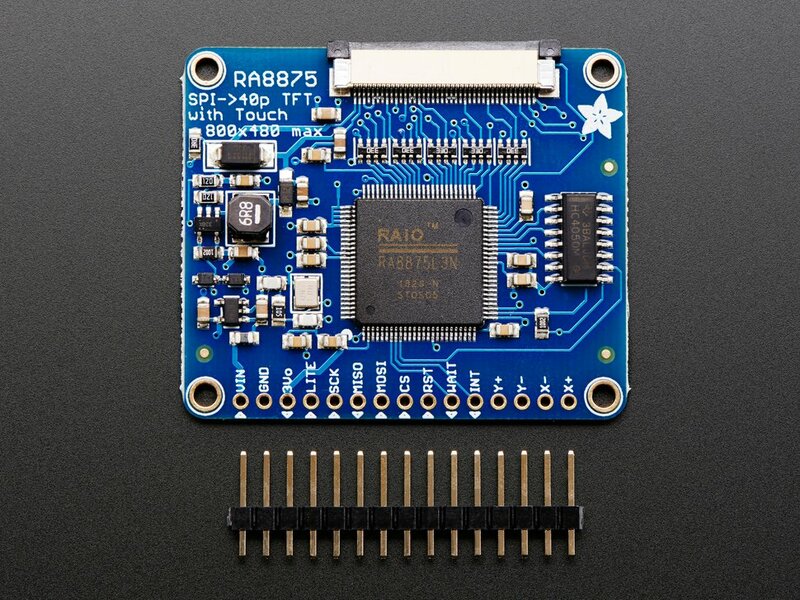 RA8875 Driver Board for 40-pin TFT Touch Displays – 800×480 Max: Have you gazed longingly at large TFT displays – you know what I’m talking about here, 4″, 5″ or 7″ TFTs with up to 800×480 pixels. Then you look at your Arduino. You love your Arduino (you really do!) but there’s no way it can control a display like that, one that requires 60Hz refresh and 4 MHz pixel clocking. Heck, it doesn’t even have enough pins. 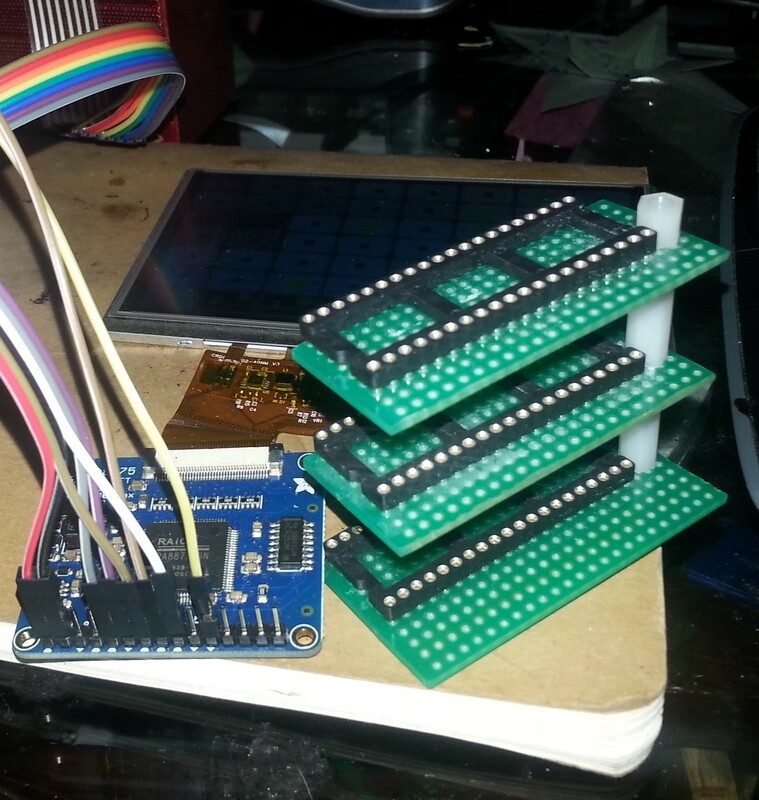 I suppose you could move to ARM core processors with TTL display drivers built in but you’ve already got all these shields working and anyways you like small micros you’ve got. Read more.